Whether for a new build or to replace existing networks, drain installation is a complex procedure that must be handled by experienced professionals. The team at Express Drainage Solutions are the leading providers of new drain installations across London and the South East, offering services to all domestic and commercial customers. 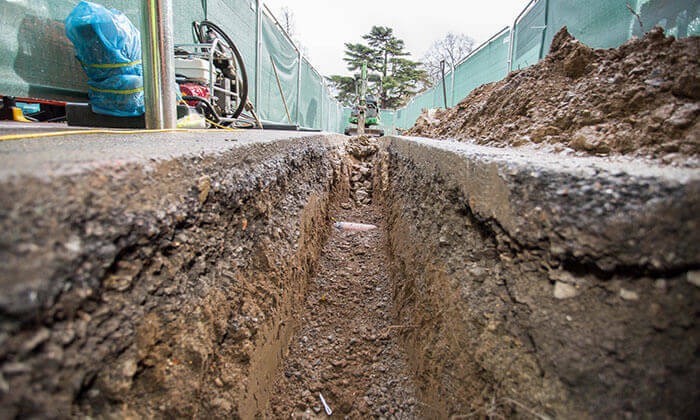 Following a full drain mapping service to determine the existing layout, our experts can then perform drain installations that connect seamlessly with the pre-existing network, providing a reliable and efficient process that conforms to all necessary regulations. For more information regarding the new drain installations carried out by Express Drainage Solutions, get in touch with the team today.